Hello again from the CMS Made Simple Dev Team! This time we are bringing you a short article on application development and details of a fantastic web app developed in CMS Made Simple. Lastly, an introduction to one of our Partners. Several years ago, when the CMS Made Simple Dev Team got together in the UK, the elephant in the room was the apparent decline of active users. The forums were quieter, core downloads were reduced, and support requests were much lower. At first, we assumed that we were just losing market share to the big guys, but once we engaged our existing users a different story started to emerge. Although attrition to WordPress and other players was a factor, we also started to see a change in who was using CMSMS. Our typical user was no longer a hobbyist, but a professional developer or agency with dozens or even hundreds of websites under their belt. Additionally, these power-users were also starting to get into application development, using CMSMS as their base. For the Dev Team, this helped to light a fire under us. We all use CMSMS daily for our own projects, but knowing we weren’t alone was exciting. People weren’t asking a lot of questions simply because they were experienced developers who read the documentation, familiarized themselves with the API, and looked at the underlying code when needed. They were finding new ways to utilize CMSMS in their projects and applications. To that end, CMSMS has been slowly but steadily stripped down, streamlined, and optimized to be a lean and efficient application base. We maintained our focus on enabling extensibility through modules and plugins rather than cluttering up the core, but still maintained the ability to quickly and easily roll out a simple website. Future versions already in the works have taken this approach even further, with more power for professional developers, increased stability, and more extensibility. For those who are making the transition from simple websites to fully-featured web applications, we are going to be showcasing a few such projects in this and future newsletters. If you have a project to share, please let us know! 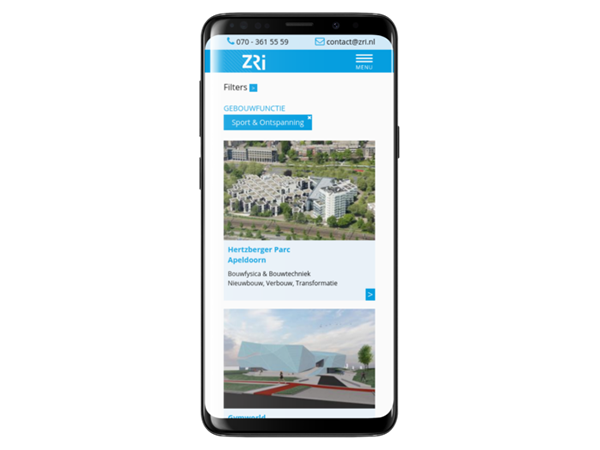 Van Zanten consulting engineers, or ZRi for short, was established in 1991 as a construction and building physics consultancy in The Netherlands. Having outgrown their existing website, they needed a modern showcase for their projects ranging from small to large, all over the country. They required the ability to easily add and sort projects themselves, as well as a login area for clients to manage tenders and proposals. 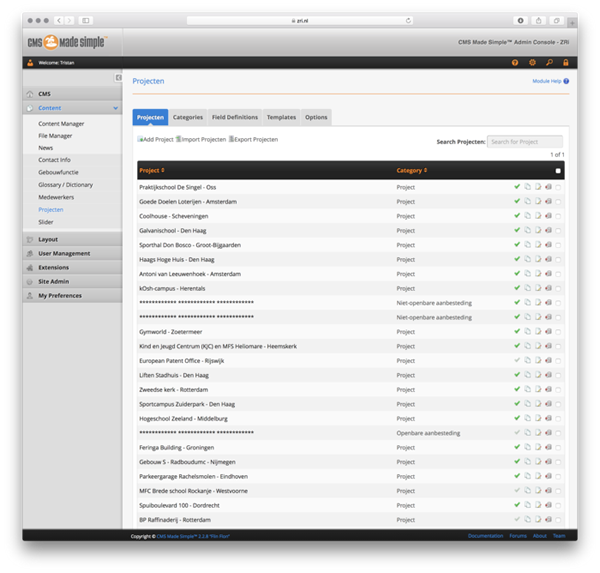 CMS Made Simple, coupled with the Foundation framework, was the perfect choice for this. With off-the-shelf modules such as LISE and CGSmartImage, everything is automated and the client doesn’t have to worry about photo resizing, text formatting, or sorting projects. 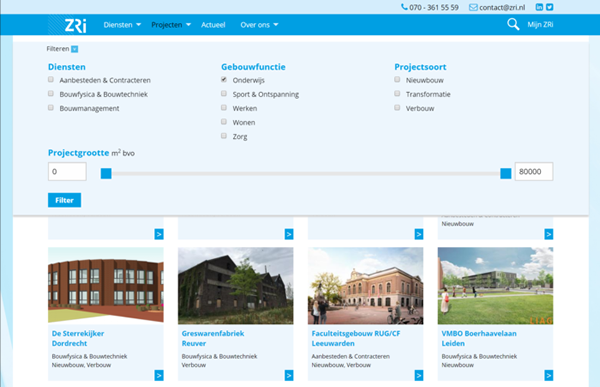 FrontEndUsers was utilized to allow ZRi’s clients to access their own personalized and secure area for proposals and tenders, with the same familiar, responsive interface as the public-facing site. The end result is a modern, responsive web application that’s simple for both the client and the end users. We love our partners at CMS Made Simple. One of them is Icons8 who are a team of designers and developers creating and sharing a huge collection of icons, photos, music, and free design tools. The company has open source projects, sponsors other open source projects and gives away licenses for free. Copyright © 2018 CMS Made Simple™ All rights reserved.